The Tarantula Nebula has an apparent magnitude of 8. 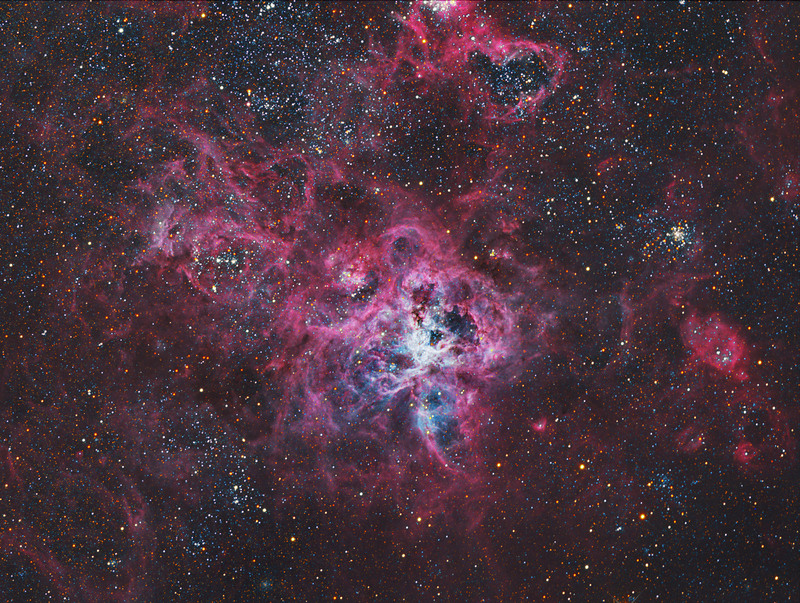 Considering its distance of about 49 kpc (160 000 light years), this is an extremely luminous non-stellar object. 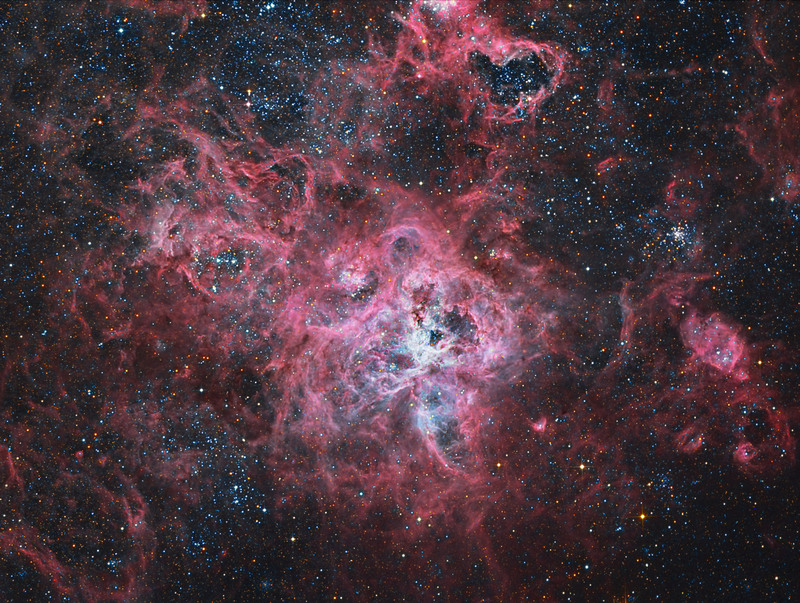 Its luminosity is so great that if it were as close to Earth as the Orion Nebula, the Tarantula Nebula would cast shadows. 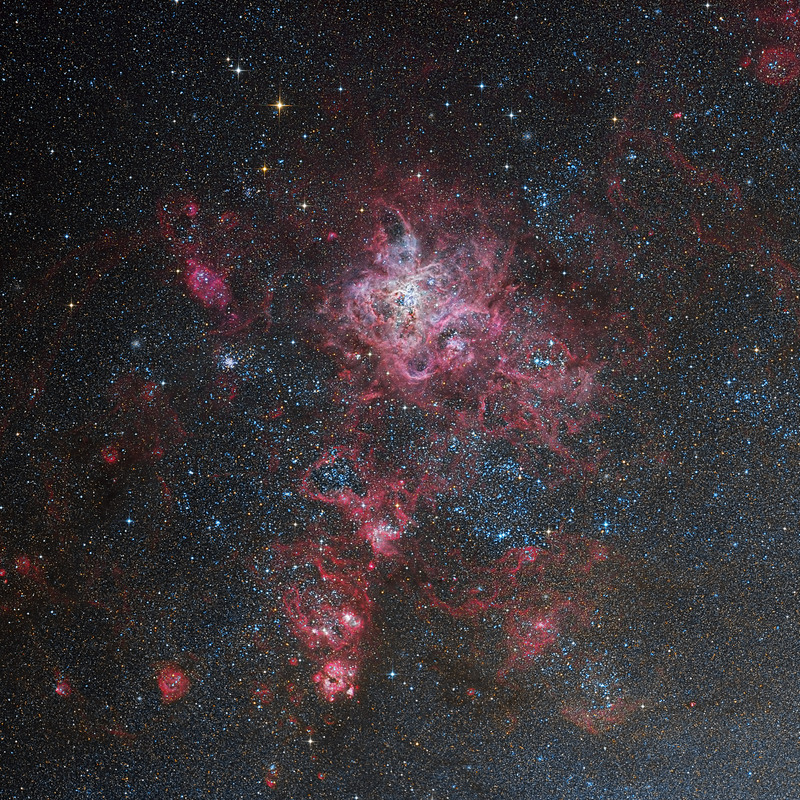 In fact, it is the most active starburst region known in the Local Group of galaxies. It is also the largest such region in the Local Group with an estimated diameter of 200 pc. 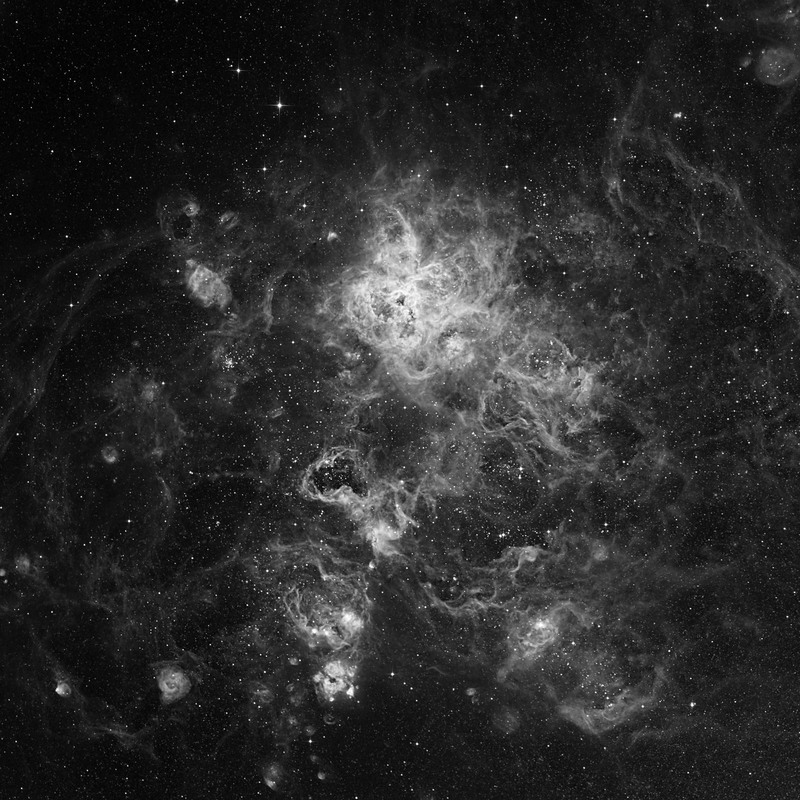 The nebula resides on the leading edge of the LMC, where ram pressure stripping, and the compression of the interstellar medium likely resulting from this, is at a maximum. At its core lies the compact star cluster R136 (approximate diameter 35 light years) that produces most of the energy that makes the nebula visible. The estimated mass of the cluster is 450 000 solar masses, suggesting it will likely become a globular cluster in the future. NGC 2015, NGC 2033, NGC 2037, NGC 2042, NGC 2044, NGC 2048, NGC 2050, NGC 2052, NGC 2055, NGC 2060, NGC 2069, NGC 2074, NGC 2077, NGC 2078, NGC 2079, NGC 2079, NGC 2080 Ghost Head, NGC 2080, NGC 2083, NGC 2084, NGC 2085, NGC 2086, NGC 2091, NGC 2092, NGC 2093, NGC 2100, NGC 2102, NGC 2108, NGC 2113.